Last week I kicked a dinosaur in the face. Two years after HTC Vive was initially shown to a select amount of journalists at Mobile World Congress, I’ve now tested out the next big advancement coming to the best virtual reality headset on the market. CloudGate Studio and HTC have been showing off its new full body awareness tracking system and it’s genuinely the best thing I’ve seen at MWC this year. Island 359 is an already-on-the-market Vive game, but it has been adapted to show off the new full body motion control made by CloudGate studio. The sensors that power this are called Virtual Self and it’s the next step for HTC Vive in becoming the most immersive experience in gaming. Usually Island 359 allows you to shoot and stab dinosaurs, but Virtual Self has now meant I was able to kick Compsognathus – those little evil ones from the start of The Lost World: Jurassic Park – as well. So how does kicking dinosaurs work? What’s going on to make this interaction possible? For now, Virtual Self is just a concept but it may one day be released as an accessory for those who already own a Vive. There are three extra trackers to add to your headset and wall mounted sensors of the original Vive. Two of these trackers are attached to your feet while the other is placed on your lower back to monitor your hip movement. The tracker for your spine is attached with a hefty belt – as if you’re about to go abseiling – while the other two sensors sit on top of your shoes. The aim is for you to be kicking in these games, so these need to be made as secure as possible. As such, I was asked to tie my shoelaces around them too. The trackers I used during my demo weren’t the most comfortable as the hooks dug into my feet a little, but that’s something that can be easily fixed for the full release. Then the headset was placed onto my head, and we were almost ready to get killing dinosaurs. To start though you need to calibrate the three new sensors, and that means standing in a particular position – here it looked like a mirror – to link up with your avatar. After a few seconds an avatar popped up, and I was able to watch myself dancing and kicking my legs around. All three trackers worked amazingly, even picking up the slightest movement in my hips. When the game booted up, I looked down to spot my legs. Usually in virtual reality games this is a static thing, but here I could see them move as I walked around. The process had even figured out where my knees were, despite there not being separate sensors for these joints. Then it was time to get kicking. Island 359 is a game where you usually stand and shoot dinosaurs or knife them if they get too close, but with this set up you can also kick little dinosaurs too. The action of being able to kick in VR and seeing my legs go out in front of my body was exhilarating. It honestly feels like one of the key things missing from the Vive experience, let alone the cheaper and less expansive VR experiences on the market. Kicking dinosaurs in the face is super fun and gives another level of immersion to the game, but this opens up Vive to another totally new type of game play. Ever since trying the Vive, I’ve been thinking the major problem with the headset is the cable that follows you around the room but this may be more important in making great games for the platform. One of the most impressive parts of Vive so far has been how intuitive and natural it feels on your arms with just two controllers in your hands and this is just the same for the feet using Virtual Self. This tech could be applied to many other titles – imagine having your hips and legs in use when playing Just Dance in VR. How about a virtual reality penalty shoot out as a part of the next Fifa game? Set the ball down, run up toward it and boot it into the goal. The possibilities with this new tech are limitless. I found it did sometimes break down a little and my legs got into a bit of a mess – that’s not the most comfortable feeling in VR, but apart from that the whole experience felt like I was using my own legs. This tech is also in the very early stages and is only set to improve in the coming months and even years. If Virtual Self is sold as a separate entity – nothing has been confirmed for a full release yet – you’ll need to buy that on top of a very expensive virtual reality headset and a top-notch computer to run it on. The amount of people who are set to have those three things is going to be rare, and that’s not something many developers will want to work on. But imagine if this was something that one day gets adapted into Vive itself, rather than being an add-on accessory. 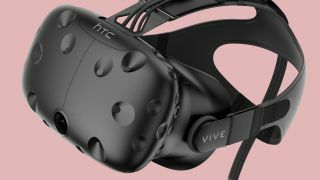 Imagine if this tech is successful enough that we see it adapted directly into HTC Vive 2? That would be the opportunity for HTC to change the face of VR all over again.